Runners love to talk about running; and when we’re not talking about running, we’re talking about shoes. Well, it’s actually shoes and cake, and today I’m going to talk about the former while eating the latter. I tried it the other way round once, but I was quickly escorted out of Brantano and found myself featured heavily in the local newspaper. I kicked off 2013 with an experiment in minimalist footwear and got myself a pair of Skechers GObionic, which boasted zero drop between heel and toe, and a waffer-theen* 11.5mm of sole between my dainty little hobbit feet and the cold hard ground. If you have a dig around January 2013 on my blog you’ll see several posts where I diarise my attempts at transforming myself into a forefoot-striking Barefoot Barry. As Summer approached, I found myself spending more and more time in my old favourites the Brooks Green Silence, and we had an amazing time together at Thunder Run 2013. I’d tried to find a worthy replacement but it just wasn’t meant to be, and it looked these shoes might be The One. Unfortunately, by the time I realised this, Brooks had long stopped making the Green Silence and I cursed myself for not stockpiling a few pairs while I’d had the chance. Knowing that my old shoes wouldn’t last forever, I feverishly googled “running shoes similar to green silence” time and time again. 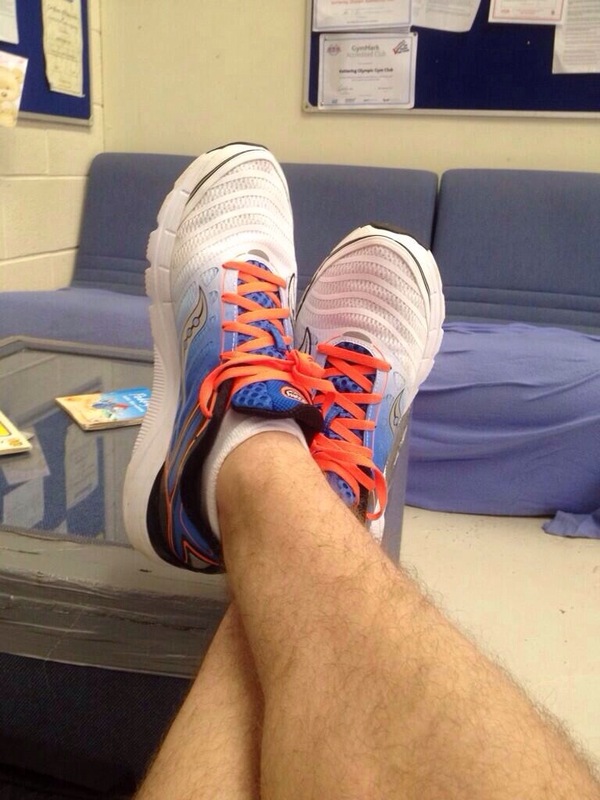 And then just when I was about to give up, somebody on the interweb suggested the Saucony Kinvara 3. I read a few reviews and noticed that these shoes had quite a dedicated following, so they at least had that in common with the BGS. I ordered a pair and, to cut a long and gushing story short, I bloody love these shoes. They’re light as a feather, insanely comfortable and wonderfully responsive. I’ve been wearing the Kinvaras solidly now for around six months, and I can’t think of a single bad thing to say about them. In fact, I’m just about to order some new ones (I did look into the Kinvara 4, but they seem to have had a mixed reception so I’ll stick with the 3 until Saucony launch the Kinvara 5 in a few months). Meanwhile, my beloved Green Silence are living up their name as they sulk in quiet jealousy in the changing room at work. I’ve worn them a couple of times since switching to the Sauconys, but they’re just not as magical as I’d built them up to be. So, after a long search, it seems I’ve finally found my perfect shoe and the story can end there. 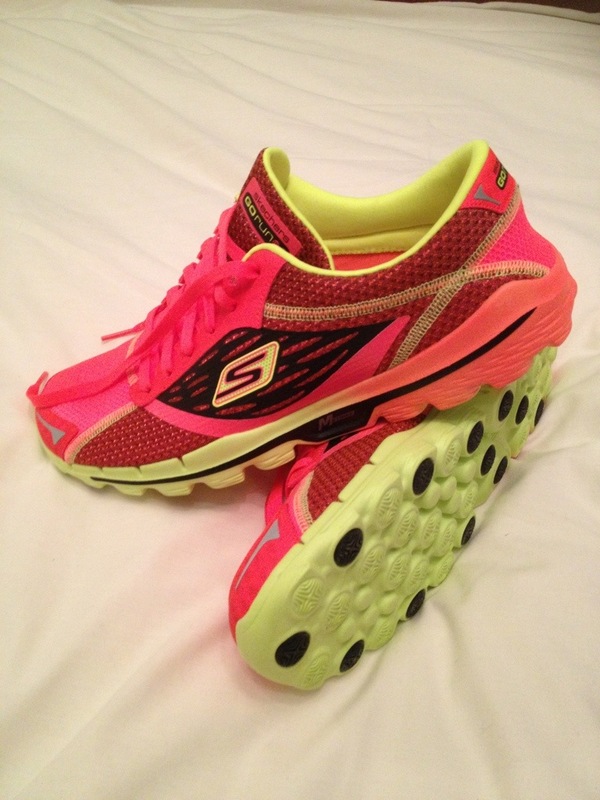 Remember my dalliance with the Skechers GObionic from the beginning of this post? Remember how I said that they’d been relegated to a “pottering-about” shoe once I realised that this whole barefoot running thing was a bit too much like hard work? Excellent, it shows you’ve been paying attention. Well anyway, last week I was at home and wanted to go out for a run, but realised that all my other shoes were at work. My only option was the now-battered old GObionics. Reader, I flew. The run in them felt light and easy, with none of the clunky knee-shattering awkwardness I’d come to associate them with before. A year of walking around in the shoes had clearly helped, but I think the main difference was that this time around I wasn’t over-thinking it. Since last year I’ve learned (thankfully not the hard way) that trying to force a dramatic change in running style can have disastrous consequences. My first experiences with the GObionic shoes had seen me bounding around uncomfortably on tiptoes with the grace of a drunk, roller-skating emu. This time around though, I just ran. And it worked. I know this because my legs didn’t fall off. 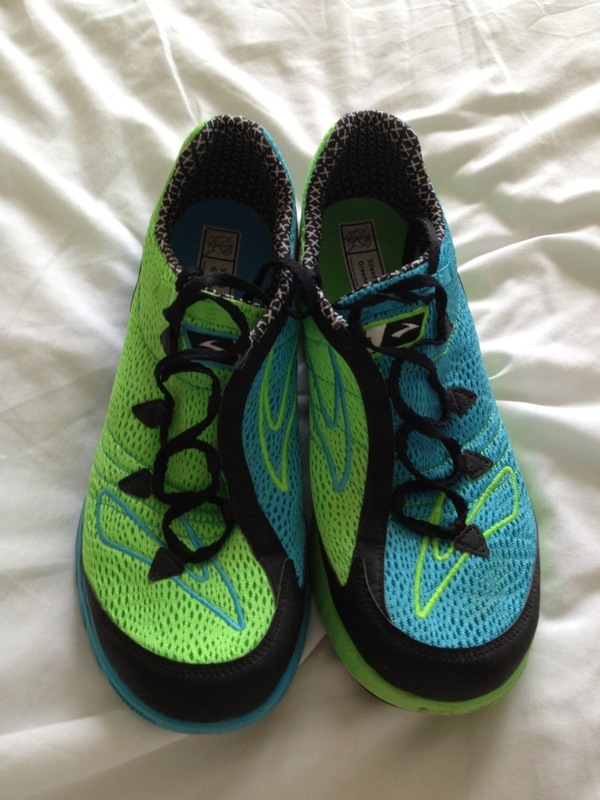 Interestingly, I’ve since read the specifications for my now-beloved Kinvara 3’s and I’ve only just realised they have a 4mm drop and are considered a minimalist shoe. So it seems I’ve been continuing the quest for minimalism I started at the beginning of 2013 After all. 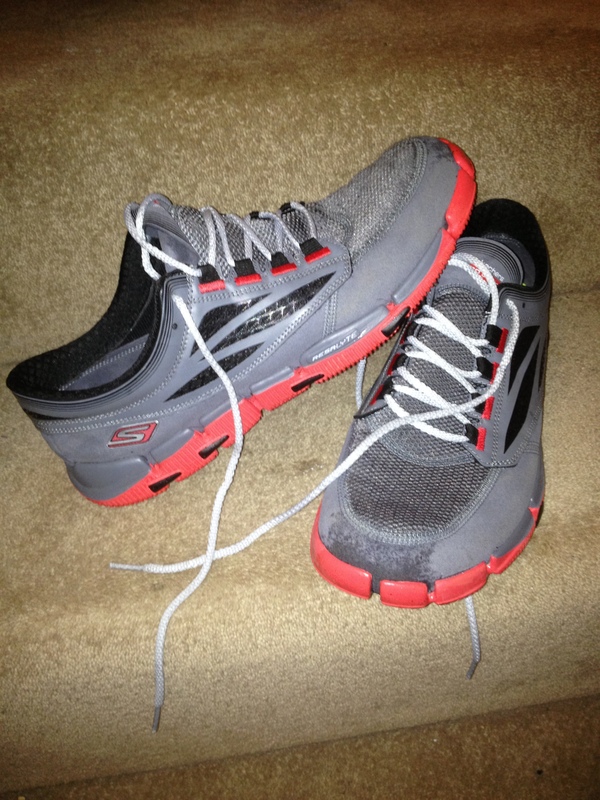 Although my Skechers GObionic have been reinstated as a running shoe, I think I’ll just use them for the occasional 5k race or parkrun. For day-to-day running I’m really smitten with the Saucony Kinvara 3; there’s nothing I don’t like about this shoe and I think we’ll be very happy together (until the 5 is unveiled, at least). Okay, so I’m still tempted by other shoes; I keep hearing amazing things about the Adidas Energy Boost for instance, and I’ll always feel drawn towards anything Brooks wave under my nose, but they’ll have to be pretty bloody special to take the place of the Kinvara. And when I say “special” I mean jet-powered, GPS autopilot special. Get to work, boffins! *Those of you who don’t like Monty Python can just pretend I was making reference to the Star Wars character “Waffer Theen”, who was a galactic loss adjuster in Episode 2. Or something. Want more? Really? You’re a bit odd. Well, if you insist, you can have a look back through some old blog posts here at borntoplod.com. Most of them contain ducks. Alternatively, you can chase me round the playground that is twitter (@borntoplodblog) or pop over to Facebook and check out my page. I currently have four pairs of working shoes and three pairs of not actually running but they’re more comfortable than anything else shoes. They all have their benefits and some of them look good too. What a journey – it should be made into a movie, I think, especially the twist at the end. In the mean time I’ve stubbornly worn three pairs of exactly the same pair of shoes, though I’ve worn through the sold of one now and another needs new insoles. That should say ‘sole’ rather than ‘sold’ – it makes it sound like I left the labels on like some kind of loon. Clearly I’m an entirely different kind of loon to that.